It's time to go through the looking glass! 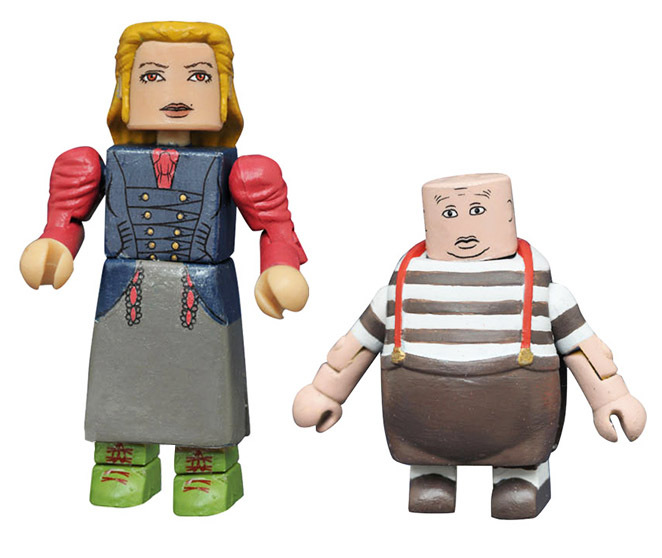 DST takes on the sequel to Tim Burton's Alice in Wonderland with a new assortment of Alice Through the Looking Glass Minimates! Four two-packs feature the Mad Hatter with the Red Queen, Time with the White Queen, Alice with Tweedledee and a rare one-per-case set of Ribbon Fantasy Alice with Tweedledum! Each 2-inch Minimates mini-figure features up to 14 points of articulation and fully interchangeable parts.